A very handy tool when you use a lot of stacks ! Improve your productivity ! Now also works on concrete5 8.1 and up. Find out where a stack is used. 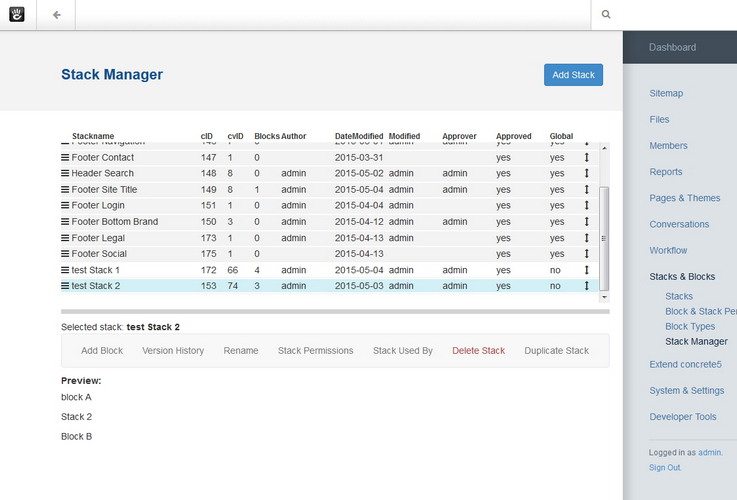 Stackmanager can search throughout all the blocks that are used on your site. It will search in the core's stack blocktypes, but also in some custom blocks. If you need a blocktype to be compatible with Stack Manager, please contact me or see the documentation.